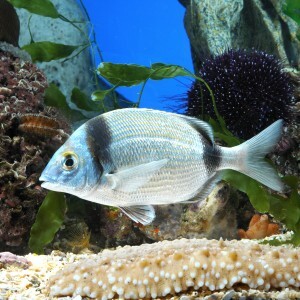 The two-branded bream is a fish with a compressed, silver body. It is differentiated as having two black vertical bands, one on the base of the tail and another on the operculum. Thin transversal lines cross its back. These fish are sociable and live in large groups. They are omnivores and therefore eat anything, although they prefer crustaceans, worms and small fish. It has oviparous reproduction. In the period of spawning (egg laying), from September to November, the head takes on a blue colour with brown front bands. They are proterandric hermaphrodites, that is, first they are male and then they become female. 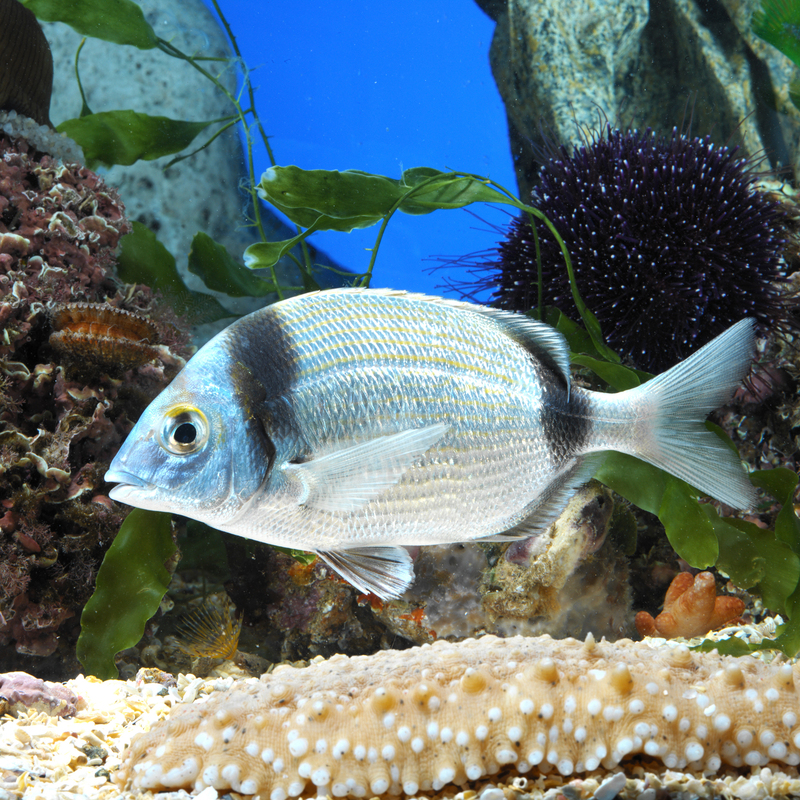 The two-branded bream is a fish that prefers rocky areas close to sand. It also lives in underwater meadows and can be seen swimming in the foam near the coast. It may be found in the eastern Atlantic, in the Mediterranean Sea and the Black Sea. It is fished commercially as its flesh is very tasty.